Who doesn’t want to be well, look and feel great. We tend to fall for sweet, salty, fried and convenient. It’s best to take our time and make wise choices. Choose foods that are safe and keep us actively full of energy with healthy cellular growth. Prevent foods that can alter your cellular DNA. Eating beaitiful is a mind set. It requires mindfulness. I surely want to know the effects food has my mind and body. Don’t you? Nature’s abundance in fruits, veggies and even free roaming and untreated meats are available to us today without having to farm or hunt and yet we still want faster, easier and sweeter. As a cancer survivor and educator I strive to inform and prevent. Take time with food. Plan to eat as natural as possible. What we do NOW can effect us latter in life. We need our health and strength more in our latter years. We put money in the bank for retirement yet we take vital life forces out of ourselves that can help us stay younger and stronger to enjoy the fruits of our labor when we need it most. Humm? That doesn’t make much sense. Put healthy in your mouth and your body will reward you when it’s time to retire. 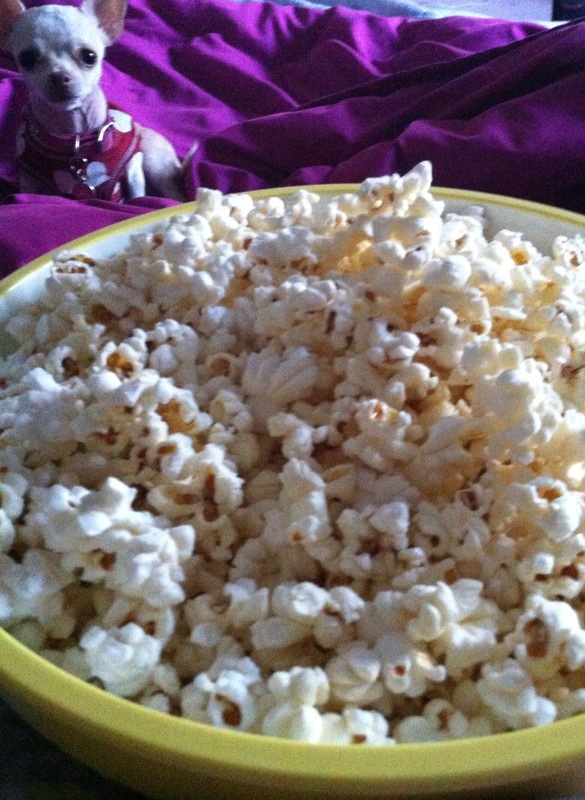 This is a picture of my homemade popcorn and a great alternative. Popped to perfection stove top! Had to share with my little Angel. Per request, I added my popcorn recipe!